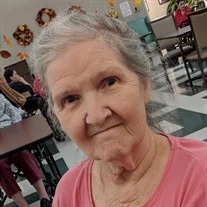 Edna Lee Jones Dalton, 82, of Rossville, passed away Thursday, February 7, 2019. She was born March 13, 1936, in LaFayette to the late Floyd and Gladys Jones. She was preceded in death by her husband, Clarence “Jack” Dalton; two sisters, Marilee Cook and Evelyn McCullough; and brother, Sonny Edward Jones. Survivors include her sons and daughters-in-law, Marty Dalton, Jackson and Jan Dalton and Ellen Durakovic; grandchildren, Joshua, Martin and Ashley Dalton; and several nieces and nephews.